Here is a list of my top twelve favorite books, out of the small fraction of total books in the world that I have actually read. I am an avid reader, but I just don’t have tons of time to sit around and read. Plus, there are plenty of books I have enjoyed, but they wouldn’t make this list. These are, indeed, the books whose stories, genius, and prose have stuck with me over time. They are in no particular order. 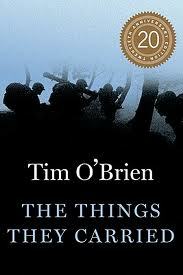 The Things They Carried, Tim O’Brien. A real classic. The best war book. And such a discussion starter. One of those books as much about writing as it is about other things, although it’s the war metaphor that will haunt you at night and populate your preaching. One Hundred Years of Solitude, Gabriel Garcia Marquez. I suggest keeping a sheet of paper with notes regarding the characters and their very confusing names (like with War and Peace). Once you get that straight, the prose is so beautiful that sometimes it takes your breath away. Oh, and the imagery as well. 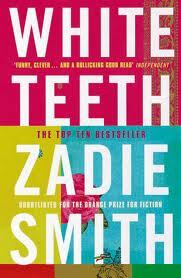 White Teeth, Zadie Smith. To me, this book is almost perfect. (The almost comes from a little overkill on the depravity, in my opinion.) It is fun and fine craft at the same time; ultimately about the characters but delivered in a one-two punch kind of plot line. 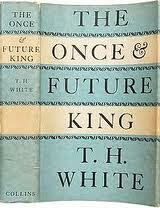 The Once and Future King, T. H. White. When I had read this, I fell into a trance and started reading anything and everything Arthurian. I was disappointed, since I had already read the best. You can go ahead and read the whole series by White, but I think you’ll find that this particular book has not been surpassed. Emma, Jane Austen. I like the period literature, but we all know it can get a bit heavy and convoluted. Emma is my favorite, by far. Austen is at her best when you are appalled, engaged, sympathizing, and laughing all at the same time. 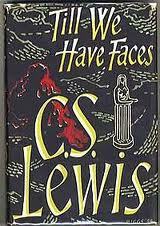 Till We Have Faces, C. S. Lewis. I know you have stopped reading because you don’t think Lewis belongs here. First, I say poo-poo. Second, I say you have not read Till We Have Faces. Completely other from the rest of his work, it is brief, but haunting and breath-taking and wonderful besides. I love it more with each read. Rilla of Ingleside, L. M. Montgomery. I know that Montgomery is not for everyone. She is very heavy-handed on the sweet and the descriptive, but I read the Anne series at least once a year. Why? I get lost there. I love everyone and everything. I cry. And mostly, I walk away knowing what sort of person I want to be. A Prayer for Owen Meany, John Irving. It’s been a long time since I read this and it could use a re-read, but man, can I still remember what it felt like to read Owen. It was a literary awakening. I have not found any Irving that I like half as much, but Owen I will always have. King Lear, William Shakespeare. I lurve Shakespeare. I know that I am not alone and I do not go un-opposed. King Lear is my favorite, perhaps then followed by A Midsummer Night’s Dream and The Tempest. Blacks, Gwendolyn Brooks. I love poetry, but I find it difficult to really glob on to any one collection or one poet. I like the Brownings, but mostly I enjoy classic collections of poetry, like 100 Best-Loved Poems or The Giant Book of Poetry, or a Norton anthology. Who can ignore the song-call of “The Jabberwocky”? On Writing, Stephen King. This is my favorite book by Stephen King, easily, which is a little ironic. If you want to accompany the reading of it with some of his fiction, I recommend The Stand, The Green Mile, or “The Body.” Of course, I read a lot of books about writing, but this one remains a favorite and I imagine it always will. The House at Pooh Corner, A. A. Milne. Who doesn’t love Pooh? Whenever I’m sick and laid up, I turn to Pooh in all forms. It’s simple and genius and very, very calming. The Holy Bible. (I prefer The Living Bible and the new NASB translations, especially the Thompson Chain Reference.) I’m not sure I need to add this here, except for literary reasons. It really is an amazing book and for so many reasons (owing to its varied writers/writing style and its overall story arch). Of course, I love it mostly because I am a believer and it’s my sword and the story of the history of God and man and me. I also wanted to mention that there are a couple authors I like to read, but one particular book-or-another didn’t make the list: Barbara Kingsolver (start with Animal, Vegetable, Miracle or The Poisonwood Bible), Amy Tan (start with The Joy Luck Club or Saving Fish from Drowning), and the Harry Potter series. 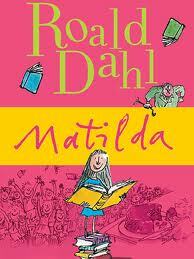 I know Harry is not great literature in the snooty sense, and yet it is a sort of great literature. It appeals to the masses because, logistically, it is seamless, and it’s also completely engaging on several layers. I read Potter when I need a break and want to get whisked away. It’s called escapism. And on a further note, here are a few of my favorite books from when I was a kid: Caddie Woodlawn, Carol Ryrie Brink; The Wheel on the School, Meindert De Jong; Little House on the Prarie, Laura Ingalls Wilder; Anne of Green Gables, L. M. Montgomery; A Wrinkle in Time, Madeleine L’Engle; Pipi Longstocking, Astrid Lindgren; Matilda, Roald Dahl (which I would expand to anything Roald Dahl). And these days, for my kids, I like Shel Silverstein, Beverly Cleary and Lauren Child.